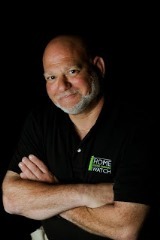 Flagstaff Home Watch Plus of Flagstaff, AZ, earns second-year accreditation from the NHWA! Flagstaff Home Watch Plus of Flagstaff, Arizona, has earned Accredited Member status from the NHWA for the second year. Co-Owners Ric Washburn and Carl Wolfbrandt each moved to Flagstaff because they wanted a better, simpler, more enjoyable lifestyle. They wanted jobs that were hands-on, away from an office environment. A Realtor friend of Ric’s was constantly being asked by her former customers to do things at their homes while they were away. She told Ric about her idea for a business that could provide services for absentee homeowners. Ric and Carl saw an opportunity to start their own Home Watch business in Flagstaff and to provide much-needed services there. Ric is a full-time resident of Flagstaff. He earned a Bachelor’s degree in Mechanical Engineering from the University of Nevada and has over 20 years of engineering and high-level customer-service experience. As a senior engineer, he managed residential and commercial energy efficiency programs and developed solar energy systems for homes that did not have access to power lines. Ric provides his clients with premier customer service and believes that honest, reliable, professional, 24-hour service are the required standards of a superior Home Watch company. He and his wife, Susan, love living year-round in Flagstaff. Carl and his wife, Melissa, live in the northern Arizona high country, along with their two dogs, Noodle and Little. He earned a Bachelor’s degree in Managerial Psychology from the University of North Florida. Carl trained as an industrial engineer in the hospitality industry and has over 40 years’ experience in engineering, preventive maintenance, housekeeping, landscaping, security, and concierge services. He has managed several full-service hotels for one of the big chains and most recently worked at a hotel and casino in Las Vegas as the Director of Labor Analysis. Carl is also a U.S. Air Force Vietnam veteran. He is an avid outdoorsman and loves living and providing premier Home Hatch services in the Flagstaff area. We had the pleasure of meeting Ric and Carl at our Fifth Annual North American Conference in Phoenix back in October of 2017. Flagstaff Home Watch Plus serves Flagstaff, Doney Park, Forest Highlands, Kachina Village, Munds Park, Mountainaire, Oak Creek Canyon, Sedona, Bellemont and Parks. You can contact them at (928) 914-5174 or at info@FlagHomeWatch.com. Learn more at their website, www.FlagHomeWatch.com.